Better late than never right? Work is really killing me right now so there is not much time for blog posts :(. 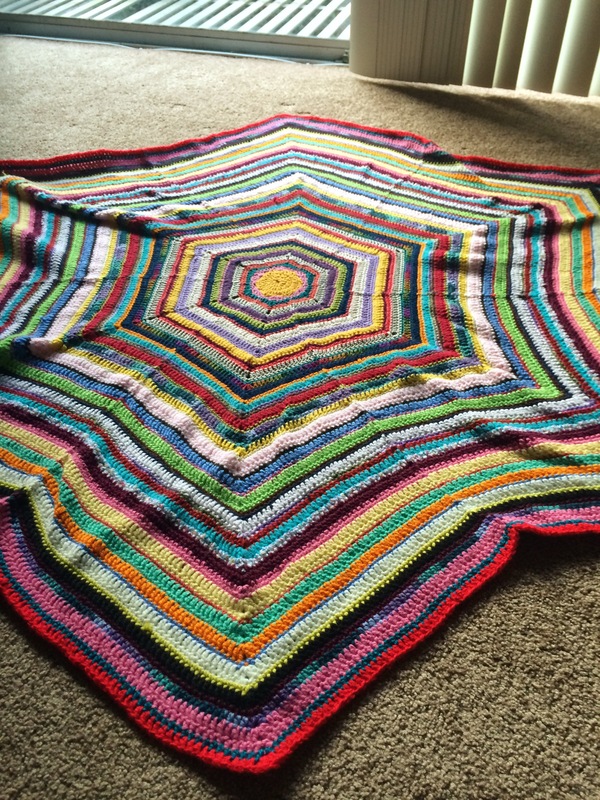 However, I have made some serious headway on my Rainbow Star Blanket ( 9 inches more!). This is the perfect TV project as it is pretty mindless to work on. 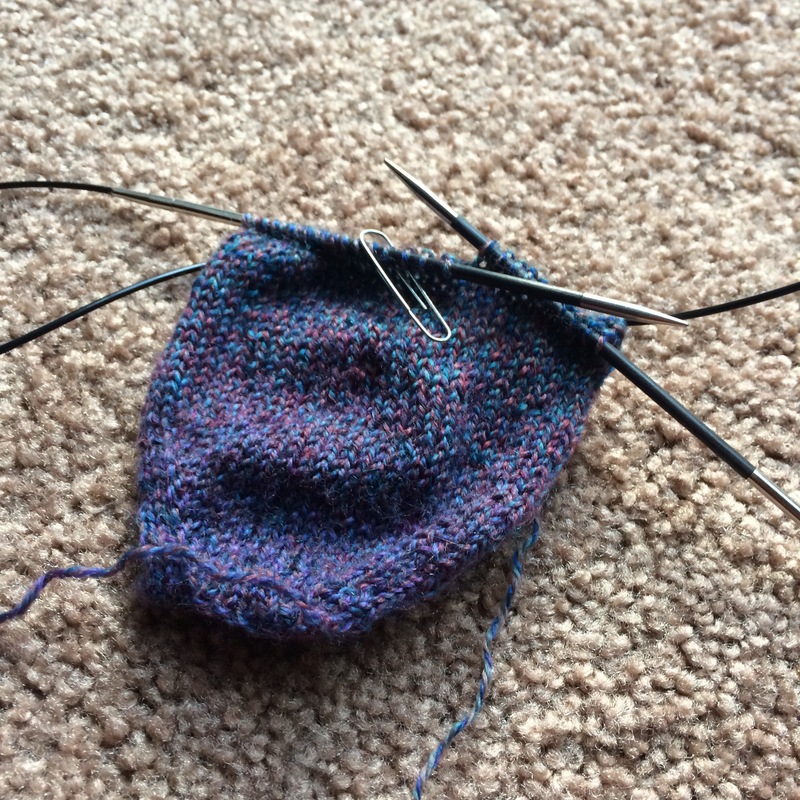 For my commuting project, I am finishing up the second sock using my Painted Desert wool blend. I hope your week is going a little bit better than mine. Happy Wednesday! That blanket is so cheerful! What a great use of stash yarns, too!